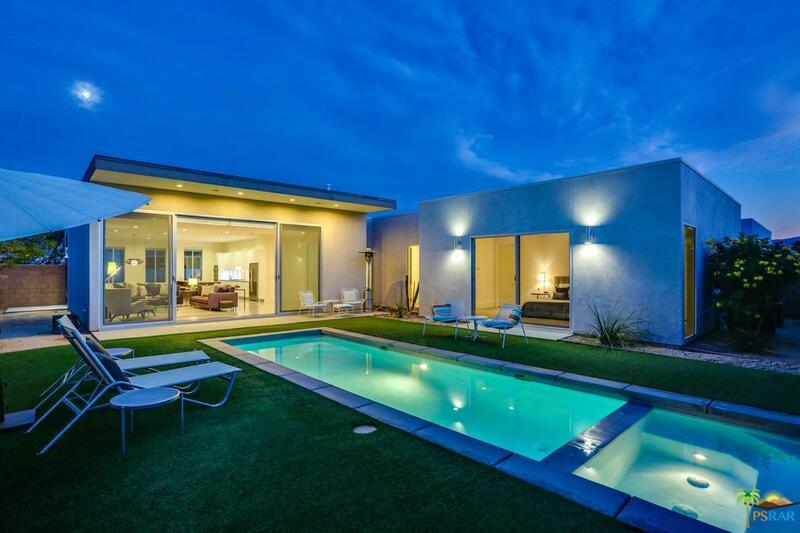 This beautiful Alta Verde home exemplifies the true Palm Springs modern living!Designed and wrapped around the pool, spa & courtyard, this open floor plan focuses the modern interior towards the western mountain views. Upon entry, an inside/outside path of light cuts all the way through the house - a glass semi-enclosed "garden" along the way. 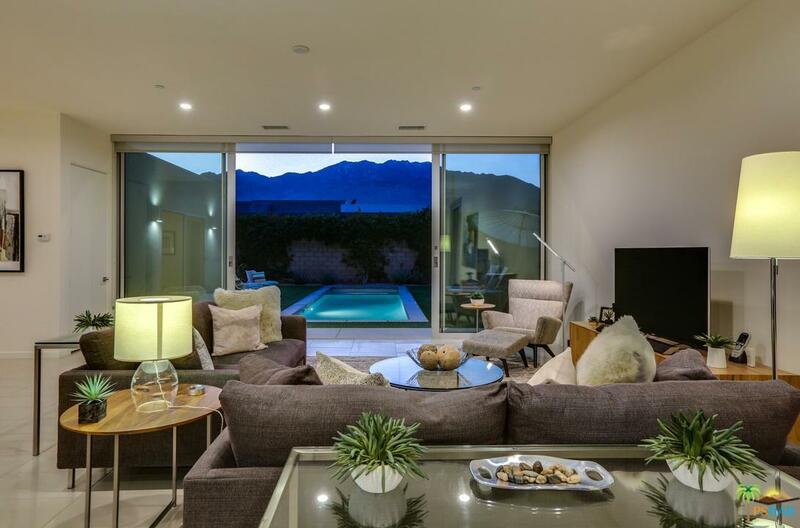 Dramatic 10-foot ceilings blanket the home with volume allowing light & spirit to flow freely. The master suite provides a true modern experience with spacious walk-in shower & enormous soaking tub. 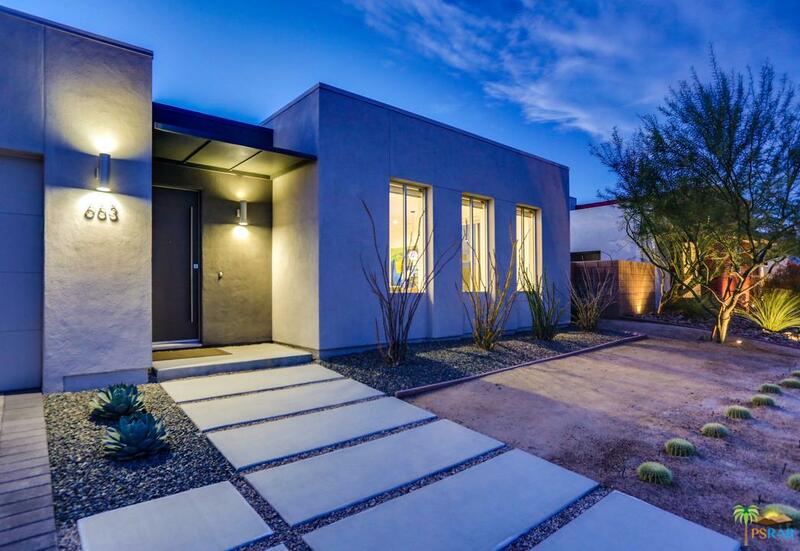 This highly upgraded home includes sleek, modern Italian cabinetry, stainless steel Bosch appliances, quartz counters, Fleetwood sliders & custom lighting. 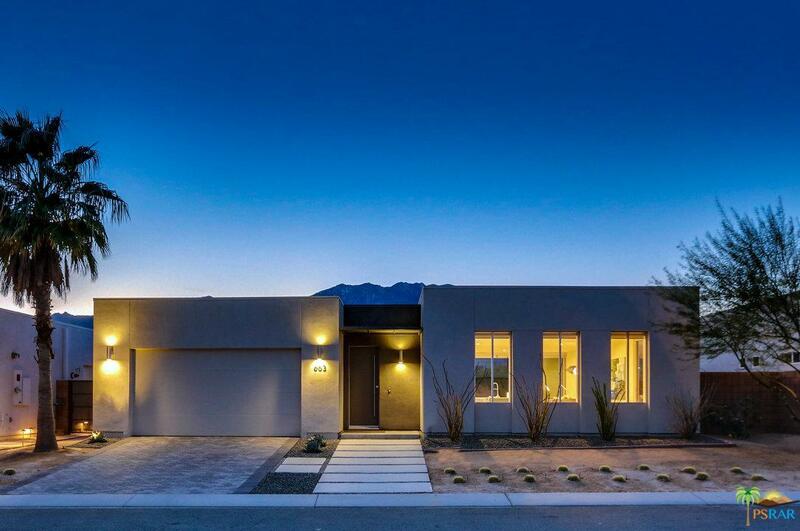 Landscaped with low maintenance, lush landscaping along with artificial grass one can peacefully relax in the saline pool & spa, or gaze at the San Jacinto mountains. Energy saving features include sleek modern solar shades, Tankless water heater, Low E windows & sliders, and a 4kW solar system. Listing provided courtesy of Dean Sipe DRE#01789257 of Berkshire Hathaway Homeservice and The Dean Sipe Group CA DRE# 01789257 of .